What type of application does your case relate to? 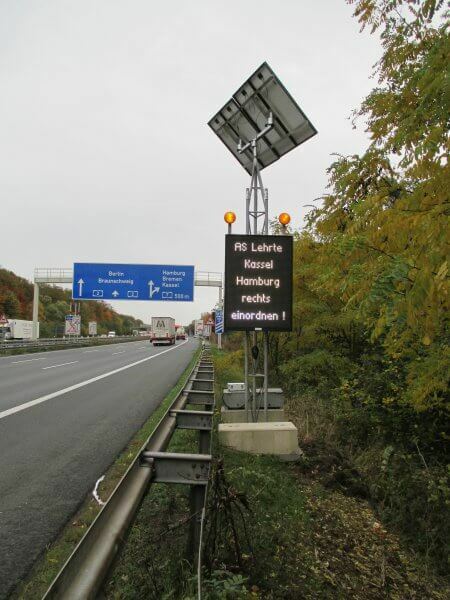 The fuel cells are used in road traffic technology and especially for temporary use on long-term construction sites on German motorways. 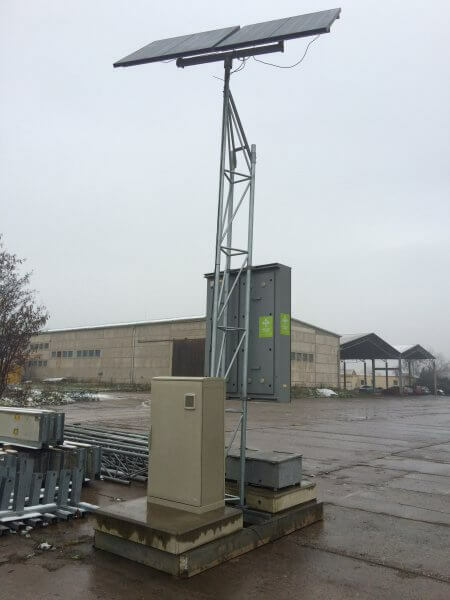 Practical traffic jam warning systems are installed, maintained and operated there to secure construction site entrances and to manage possible traffic disruption. The construction periods vary greatly, depending on the type of site involved, and range from 30 days to 30 months. Our work is short-notice, and therefore the system parts are designed for rapid deployment independently of the grid and mobility. What problems or challenges needed to be addressed with your application? The technical development of dynamic display systems with variable signalling systems and traffic data capture systems is dynamic and allows systems to be created with high acceptance and high data quality. The systems cannot be operated during long periods of poor lighting without the regular exchange of batteries. This generates additional costs on the construction sites. To ensure that the systems operate as reliably and without interruption as possible, we decided in 2013 to integrate and use fuel cell technology in our systems. Why did you choose the EFOY Pro? The task was new for our specialists. We needed installation-friendly, reliable and mature technology that complements our existing solar and battery technology. After careful consideration we chose EFOY Pro because, in addition to the technical advice, the cabinet concept, the operating data of the fuel cell and the control and remote monitoring options impressed us. We were also given active support with an initial test setup on site. The EFOY Pro fuel cells are available in various performance categories, with outputs ranging from 45 W for small-scale power systems to a 500 W module for UPS solutions. Install, commission, check and then “forget” until the job is done. So far, this has just been a pipe dream – but now that dream has come true. How did you integrate the EFOY Pro in your application? 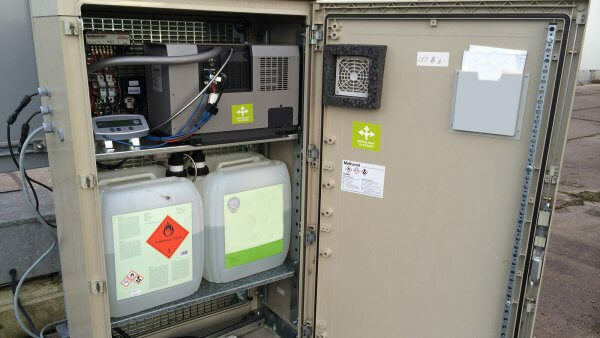 The fuel cells are used in combination with our solar panel to avoid any discharging of the batteries. We use a cabinet concept that has so far been proven to be vandalism-proof that is permanently tethered to our setup equipment. How many EFOYs do you use, or do you combine other energy sources too? We currently have 10 fuel cells in operation which are combined with photovoltaic technology. What benefits does the EFOY Pro bring you or your customer in your or their application? Are you able to quantify these benefits? By using fuel cell technology, it is possible to operate the systems with increased reliability in virtually all weathers. Even during the winter or on sites that, due to their location, orientation or shade, e.g. as a result of noise barriers, are not ideal. Considerable cost savings are generated. The costs of the fuel cell then counterbalance the costs of the battery changing service and costs of traffic safety.